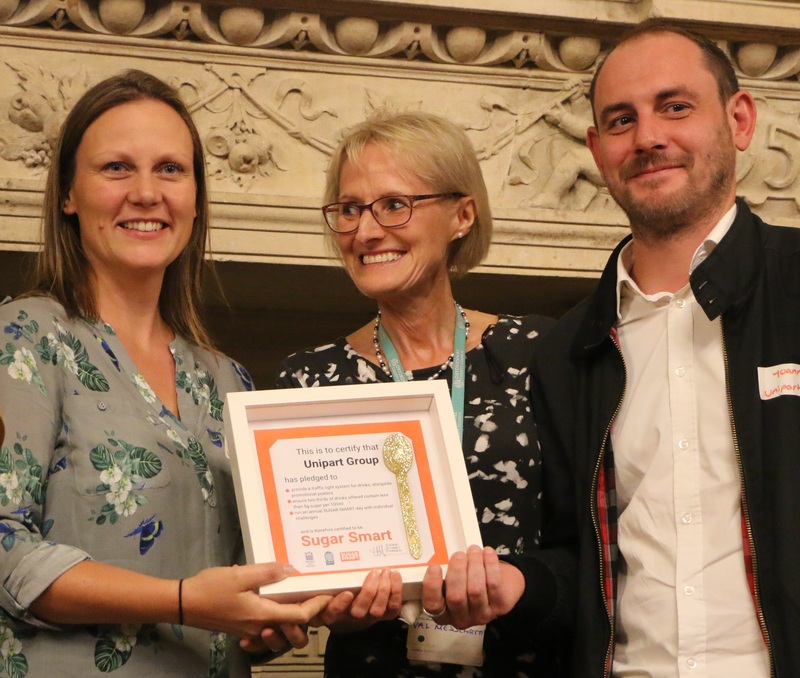 Ten flagship businesses received a “golden teaspoon” for their SUGAR SMART commitments at a celebration event on 26th September 2018 in Oxford’s Town Hall. Each business had taken at least three actions to reduce sugar and make the healthy choice, the easy choice. 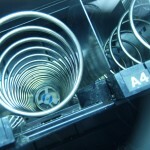 Fusion Lifestyle Leisure Centres, Oxford – provide floor stickers in front of vending machines which show sugar content of drinks, provide a traffic light system for drinks, offer self-service tap water stations across all leisure centres. 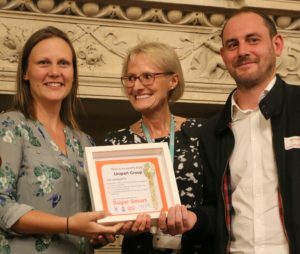 Also recognised at the event was Oxford City Council for signing the Local Authority Declaration on Healthier Food and Sugar Reduction, becoming the first Local Authority outside of London to do so, and commiting to implement actions across six key categories. 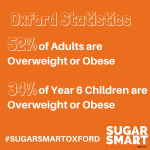 The results of Oxford’s GREAT SUGAR DEBATE were announced in March 2018. Following on from the public launch at the Kassam Stadium in November 2017; 665 people from Oxfordshire responded to the public consultation, 421 online and 244 via a postcard. 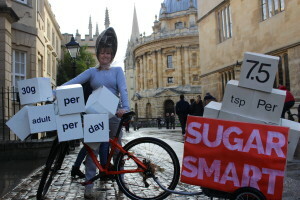 In response to this public demand for action, Oxford’s businesses are now being invited to tak e action to make it easier for people to reduce their sugar consumption. If they sign up to three or more commitments, their business will be awarded a SUGAR SMART golden teaspoon. 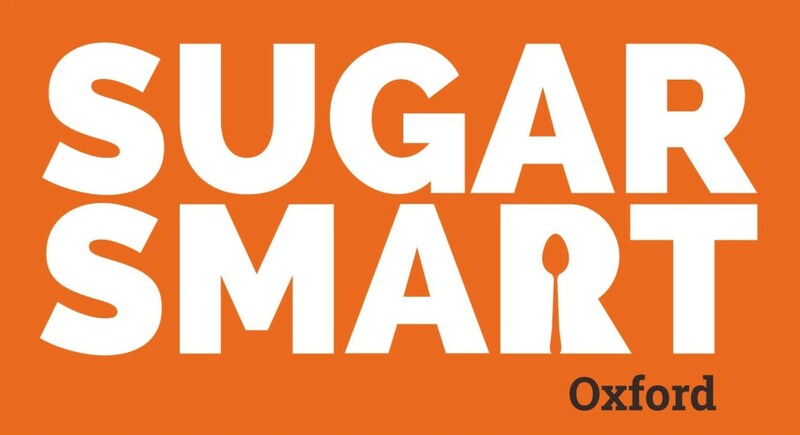 Schools and colleges are also being invited to take part; by running assemblies, debates and individual challenges to cut out sugary drinks for a week. The focus of the campaign is sugary drinks but any healthy initiatives are really welcome. The recommended daily intake of free sugar* is a maximum of 7 teaspoons for adults and 5-6 teaspoons for children. *Free Sugar is sugar added to food by the manufacturer or at home, as well as sugar naturally present in honey, syrups and fruit juices. It does not include sugar naturally present in milk, whole fruit and vegetables. One soft drink may be two to three times this amount – a 330ml can of soft drink may contain 9 teaspoons of sugar and a 500ml bottle of soft drink may contain 13 teaspoons of sugar. In the UK, children are having three times as much sugar a day as the recommended amount. Adults are having twice as much. We’ve teamed up with the Jamie Oliver Food Foundation, Sustain and Sustainable Food Cities and are working in partnership across the city to look at what we can all do at home, in schools, in work and in shops, restaurants, cafés, vending machines and takeaways. For children and families: find sugar facts, swaps and tips, and shop smart using the Change4Life Sugar Smart resources. 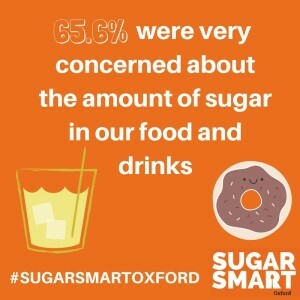 Download the free Change4Life Food Smart app to find out how much sugar is in the food and drink your family consume every day. For adults: find out about sugars in our diets, tips to cut down, and labelling information on the NHS Choices website. You can also sign up for lots of free support, tips, ideas and recipes. For schools and colleges: use the SUGAR SMART Assembly format, SUGAR SMART school debate format, and SUGAR SMART individual challenge record, as well as the Change4Life Food Smart app. For organisations: you can find further resources on the Public Health Promotion Resource Unit webpage. A project of Good Food Oxford, Oxford City Council, Oxfordshire County Council, Community Dental Services Oxfordshire, Oxfordshire Clinical Commissioning Group and Oxfordshire Workplace Wellbeing Network. 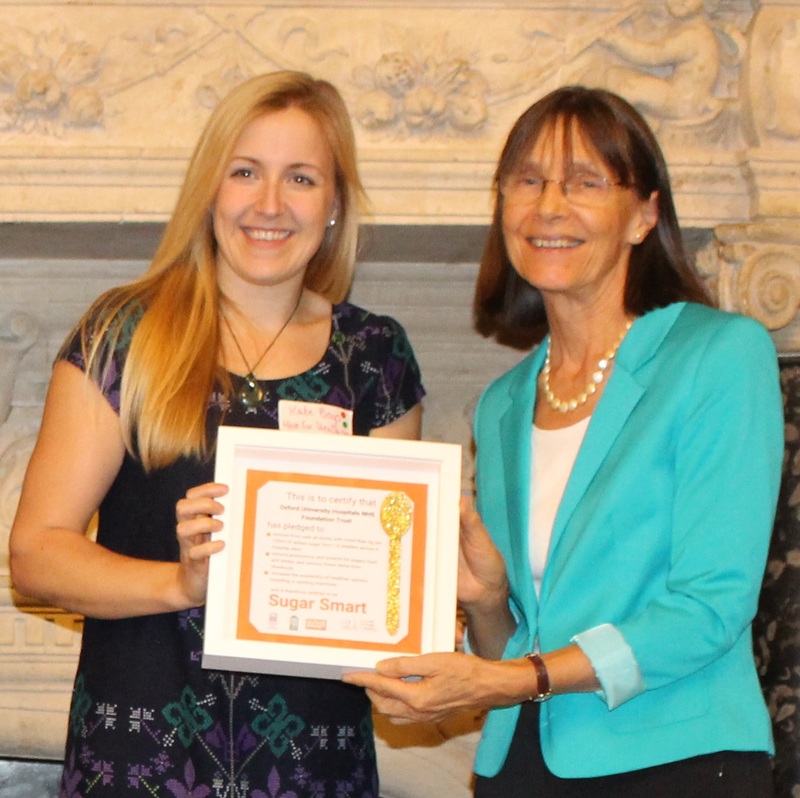 Find out more about Good Food Oxford.